Zoom Toolkit - Innolect, Inc. | Innolect, Inc. Especially with the need for “speed” in today’s fast-paced work environments, many leaders rely on methods and tactics that have worked for them in the past. While nothing is wrong with using methods that work, today’s challenges and opportunities often require new ways of discovery and exploration. We believe that taking steps to stimulate new thinking – slowing down – provides the platform for creative insight – going fast – with greater confidence and success later. This Tool kit includes tools and strategies to promote “fresh thinking” as well as mindful and intentional practices. Most of these approaches can be implemented within 30 minutes or less. Using these tools will result in deeper clarity, wiser relationships, and more creative practices with greater team integrity. This toolkit provides options to enhance and build innovative intelligence practices when forming teams, generating new ideas and tackling business challenges. 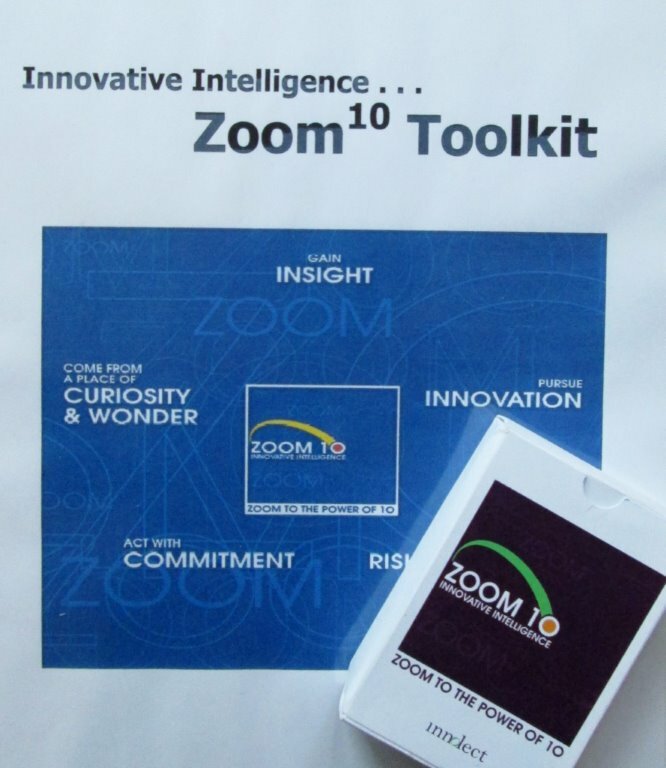 Note: the toolkit includes the Zoom to the Power 10 card deck. The deck provides a powerful set of question cards to promote fresh thinking and mindful action. These cards help leaders DIVERGE (Zoom Out) and CONVERGE (Zoom In) when facing new and/or complex challenges.